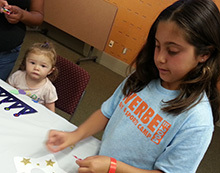 The mission statement of the Los Angeles Public Library is: “The Los Angeles Library provides free and easy access to information, ideas, books and technology that enrich, educate and empower every individual in our city’s diverse communities.” The staff promotes the enduring importance of reading and literacy. 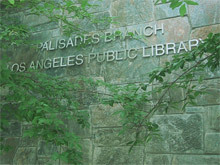 We invite you to visit our website www.lapl.org which is located on the Internet. The website provides a lot of information. On the left-hand side, under events and exhibits, you can view all the happenings in the branches for the current two months. Also, you can access the catalog, databases and weblinks. The catalog is the record of the books and audiovisual materials owned by the library. Databases are special reference materials that the library buys that you can use at the library or at home. The weblinks section is a subject directory to the Internet that has been compiled by librarians. (I call it the library’s Yahoo.) Kids’ Path and Teen Web are sections that specialize in topics of interest, entertainment and homework for young people and students. Also, you can view your complete library account and put books and materials on hold from home. The Central Library and all the branch library locations and hours are on the website. This awesome website offers a lot of other goodies, surprises, a wealth of knowledge and a lot of information.